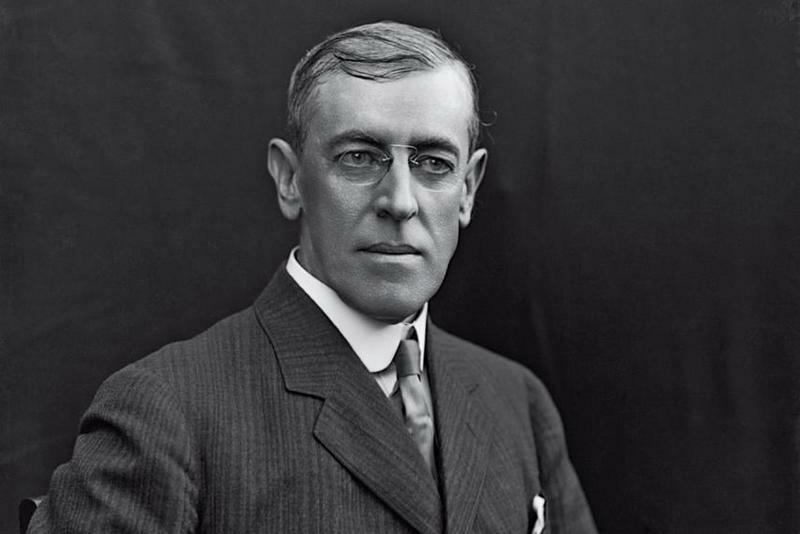 When Woodrow Wilson, the 28th President of the United States, was incapacitated after suffering a stroke in October or 1919, his wife stepped in to protect her husband and his power. 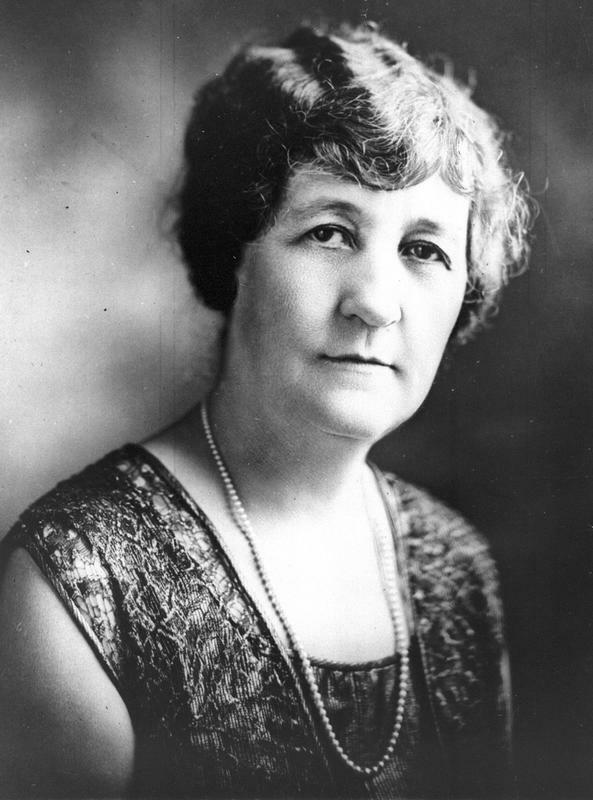 In doing so, she effectively became the first female to lead the executive branch of the U.S. government and earned the nickname “the Presidentress.” Although Edith Bolling Wilson’s “term” as president occurred in the midst of the women’s suffrage movement, her role as the de facto leader of the United States was downplayed, even by her, but as we will see, she eloquently balanced and ran the presidency while caring for her convalescing husband. 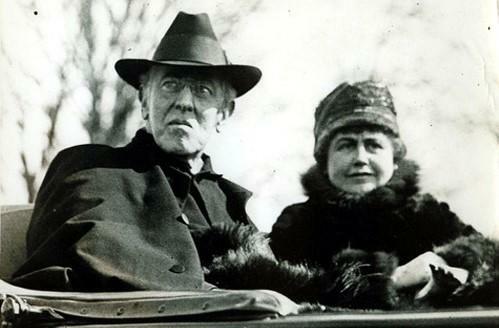 The marriage of Woodrow Wilson and Edith Bolling Galt Wilson was the second marriage for both of them. 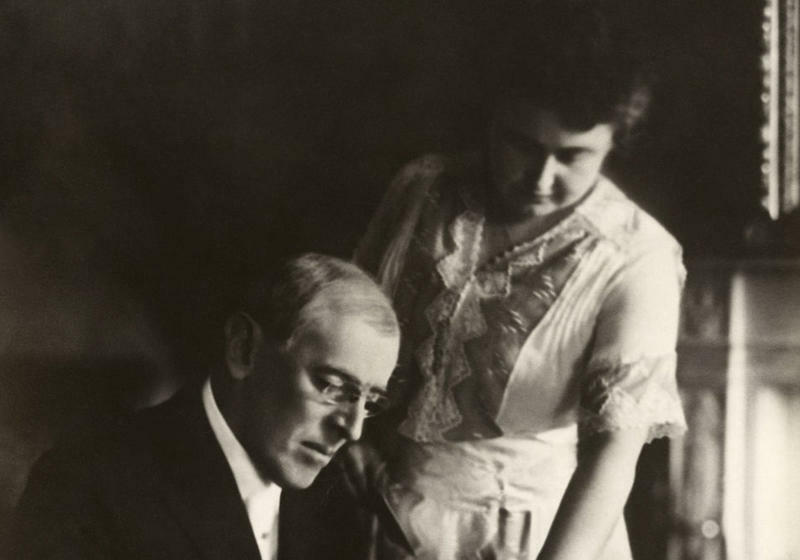 Wilson’s first wife, Ellen, died in the White House on August 6, 1914, from a kidney disease. Edith was previously married to Norman Galt, a prominent jeweler. After twelve years of marriage, he died suddenly. A few years later, President Wilson’s cousin introduced him to Edith at a White House event and he was immediately attracted to the beautiful widow. 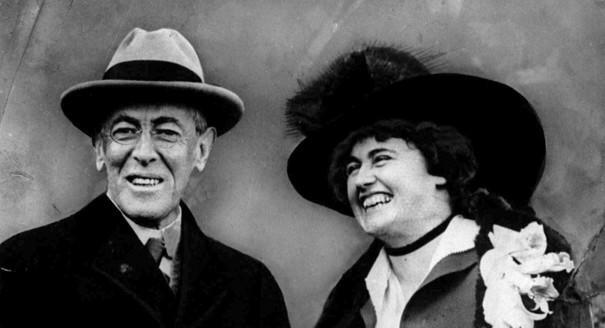 The couple married in December of 1915, during Wilson’s first term as President. When Wilson was sworn in as President, there were plenty of people who were concerned with his health. Dr. Silas Weir, a noted physician, even predicted that Wilson wouldn’t survive his first term in office. Although his prediction was wrong, he was right to be concerned. Wilson, a type A personality, routinely took on too much work, put in long hours at the neglect of sleep and pushed himself too hard. He was the epitome of a workaholic. Leading up to his stroke, his workload increased. Between December 1918 and June 1919, he made numerous trips to Europe to negotiate the Treaty of Versailles. Back home, he left on a three-week train tour across the country so he could speak directly to the citizen of the United States. His personal physician, Dr. Cary T. Grayson, accompanied him on the tour and expressed his concern over the President’s health. 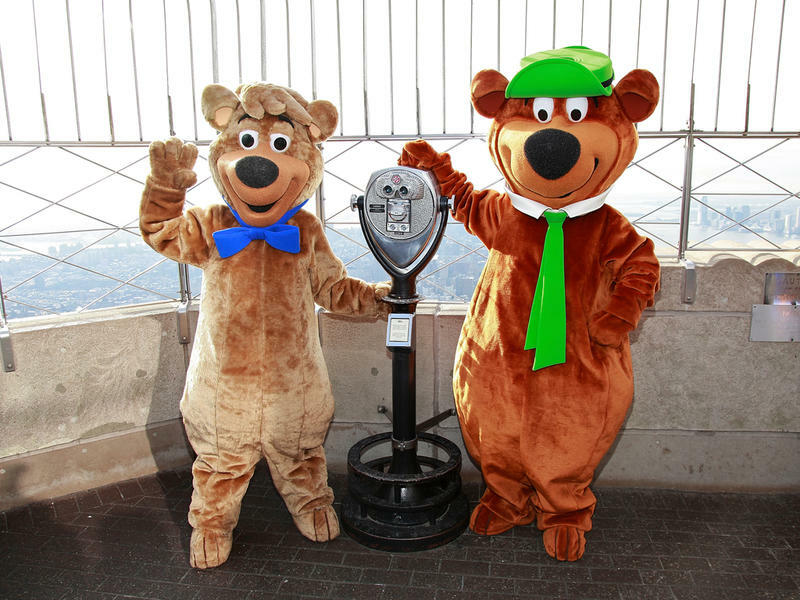 Still recovering from the influenza outbreak in the spring, Wilson's tour of the U.S. was taking a toll on his body. He suffered from terrible headaches, lost his appetite and grew pale. 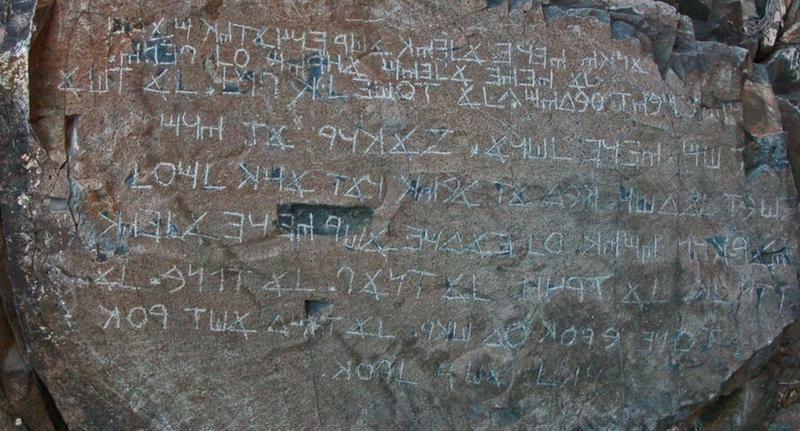 He experienced respiratory issues that he chalked up to asthma. In Pueblo, Colorado, on September 25, 1919, the President gave a speech and then retired to his room, stating that he had a tremendous headache. 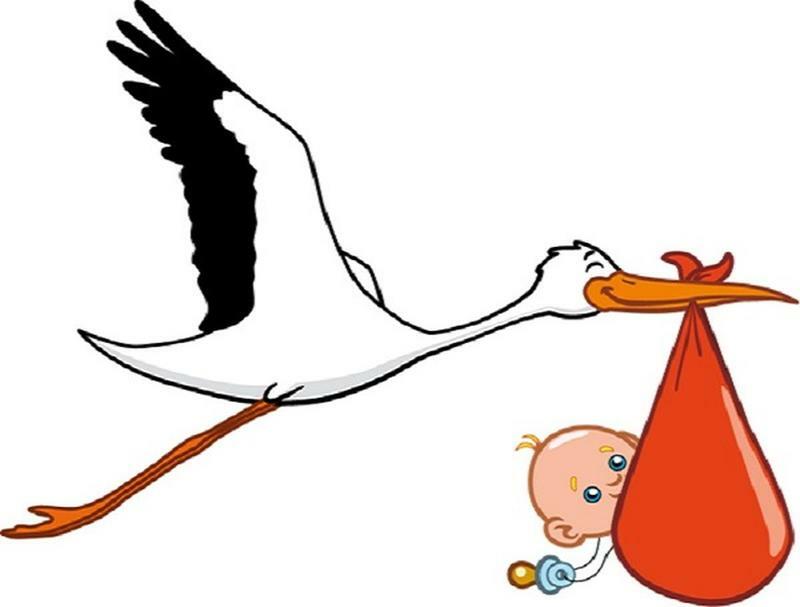 Later, Edith went to check on him and found that he was experiencing uncontrollable nausea and the muscles in his face were twitching. In hindsight, we know that Wilson suffered a TIA, or mini-stroke, which is often the prelude to a full, debilitating stroke. The tour was canceled and the President was whisked back to the White House. 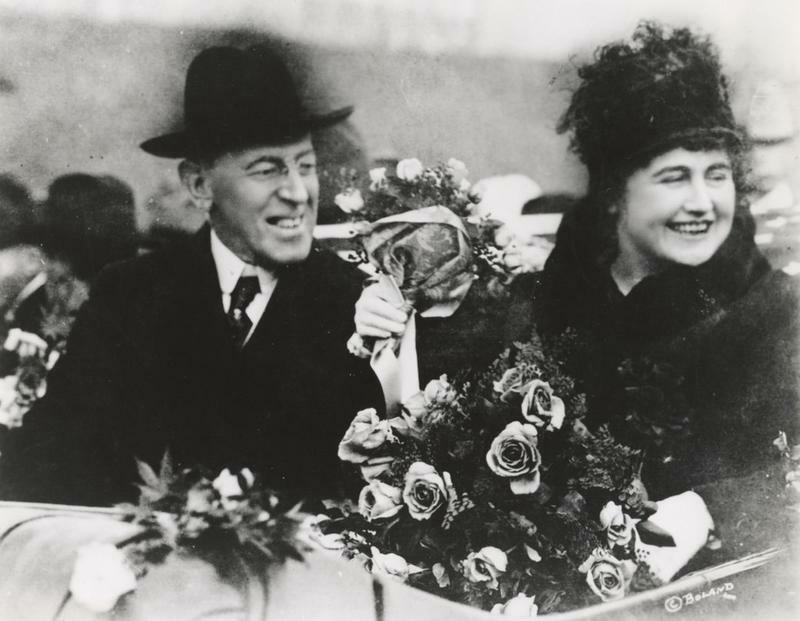 The White House staged this photo of President Wilson and Edith Bolling Wilson after the President's stroke to show that he was fully recovered. 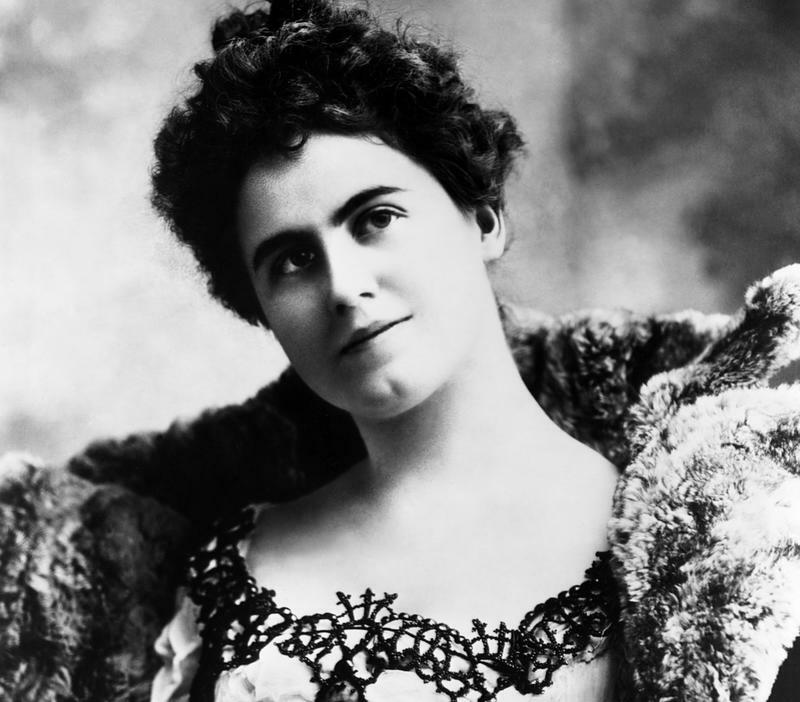 Many people firmly believe that Edith Bolling Wilson was, in fact, running the presidency in her husband’s absence. 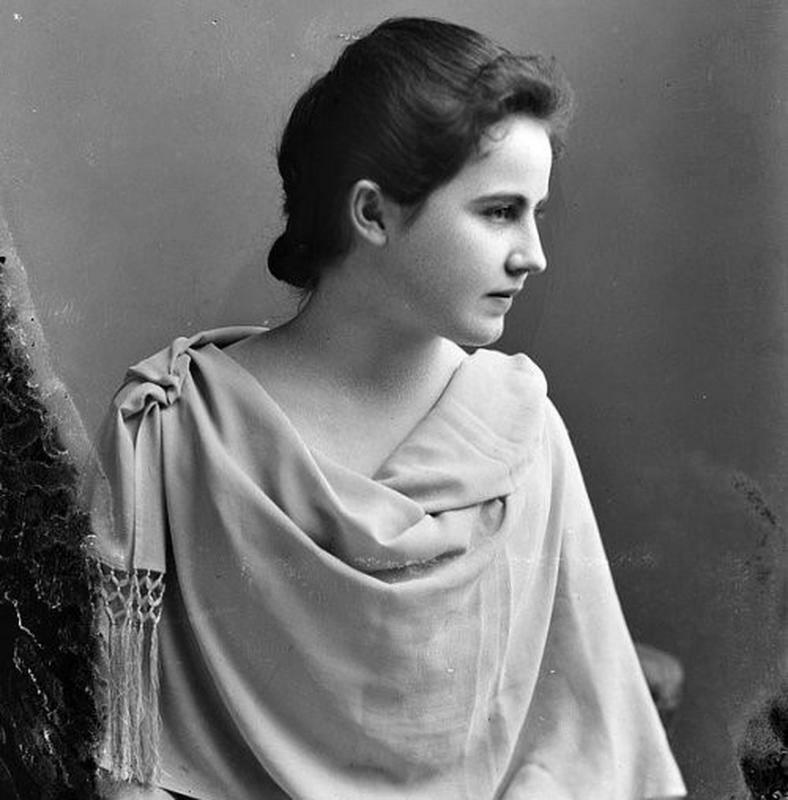 Although she excelled at the role of First Lady, acting as the hostess for White House events, she lacked a formal education and experience in world affairs. By screening the information that was given to President Wilson, Edith did influence domestic and foreign policy. Historians believe that Edith downplayed her role and, perhaps, underestimated the power that she had. It could be that because women didn’t yet even have the right to vote, the idea that a woman was leading the country would have been preposterous to consider.